Upload nvn_settings.cfg and nvn_extra_add.php file to server. 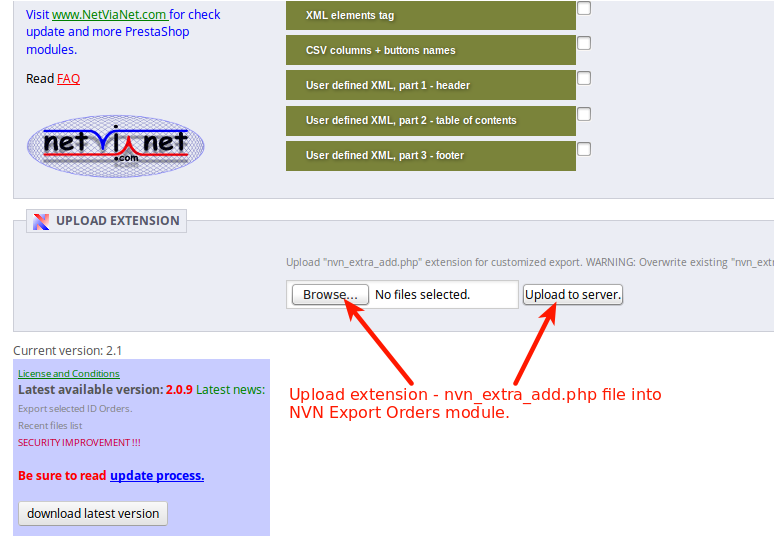 1/ Upload extension – nvn_extra_add.php file into NVN Export Orders module. 2/ Add all needed fields (used in extension). 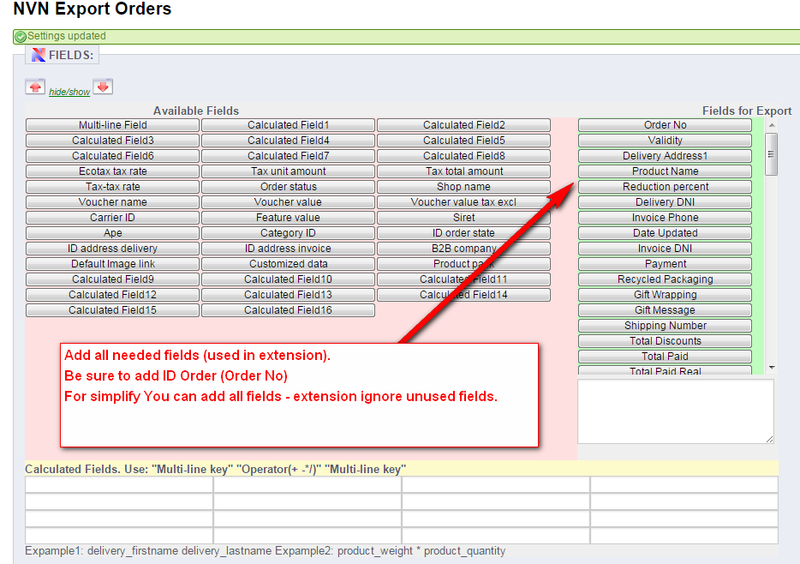 For simplify You can add all fields – extension ignore unused fields. 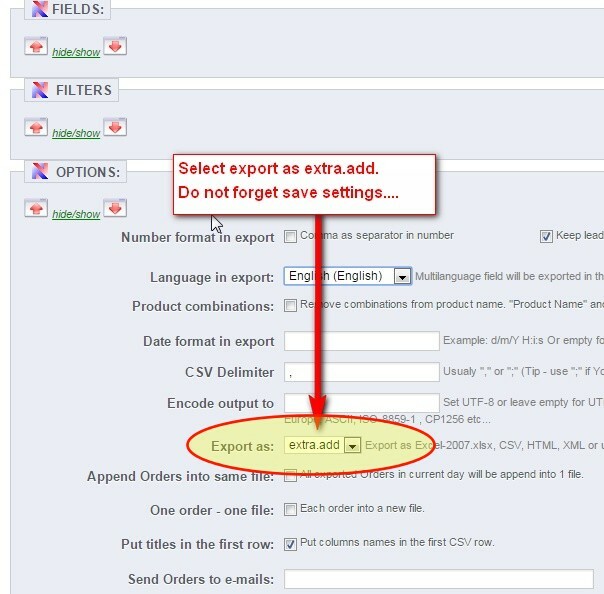 3/ Select export as “extra.add”. Trying to export orders.. into csv file. however the product_reference column doesn’t look right. I am having the = sign before the field code. How to fix that, also how to get the line’s item number ? Line’s order number has to be unique per order per item line, I am using the attribute_id field, I am not sure if it is the right way ? the attribute_id as shown above in the sample before the product_reference code ? another thing, how to make the number fields only shows with 2 decimals here is showing with 6 decimals. ?